It was a pleasantly shocking encounter to find someone who is not a formal academic with such a mastery and delivery on one of the most difficult aspects of the crisis of university education in Nigeria – what the author of a leading text on it calls ‘philosophical wagers’. It is all about the question of how we may know the world and how we can be sure that what we know is valid. A war has been going on over that question across the world, exploding with the 1988 Presidential Address of the American Political Science Association and the 2000 revolt of the ‘Perestroika Movement’ which followed in the United States. The European version of the war can be reduced to the now resolved opposition of Explanation to Understanding. In much of continental Europe today, Understanding has won the war as the dominant model of knowing. In Nigeria, the war started and ended even before many people knew. 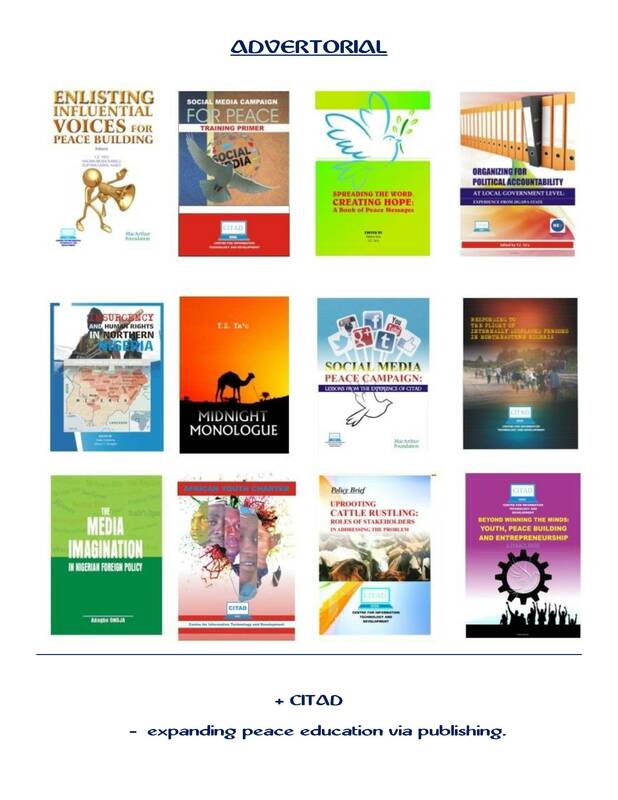 Still staggering from the dosage of authoritarian pressure administered on it by successive military regimes, the National Association of Nigerian Students, (NANS) which rose to fight the IMF/World Bank course content restructuring in Nigerian universities lost the war. The Academic Staff Union of Universities, (ASUU) took over and it could be said they are still at it but a tragedy is almost greeting their offensive. The logic of ASUU struggle has not been communicated to the public in such a way that everyone understands what is up. That has produced a situation whereby ASUU is perceived by most parents as blocking the progress of students instead of being seen as fighting a war the parents ought to be fighting – putting their feet down on quality education as a minimum by every government in Nigeria because that is the only guarantee for everyone’s future. 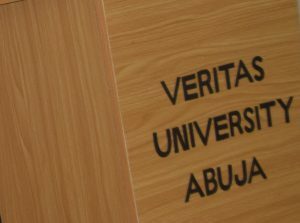 One of Nigeria’s newest universities, confronting the methodology crisis by engaging with Ehusani? In the absence of such, Nigeria can be said to be waging a war against knowledge production or the conditions of that possibility. Alarmed by the direction of academia around the mid 1980s, the powers that be embarked on deliberate destabilisation of universities as centres of strategic social investigation. Successive governments achieved this intervention by landing ‘cult’ squads on campuses, relatively starving universities through budgetary allocation politics, destabilising student unionism as leadership training ground and perversion of university processes in the image of the larger society. 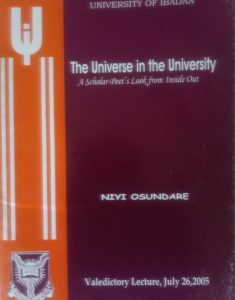 It is, arguably, difficult to get a more profound assessment of what has happened to the university system in Nigeria than Niyi Osundare’s The Universe in the University. Having been delivered in 2005, it can do with a revision. Even without that, it still gives us a very good narrative of the descent into near nothingness or the shadows the country is left with today. That descent manifests in so many ways but the most dangerous must be the crisis of teaching and mastery of philosophical wagers by teachers and students respectively. 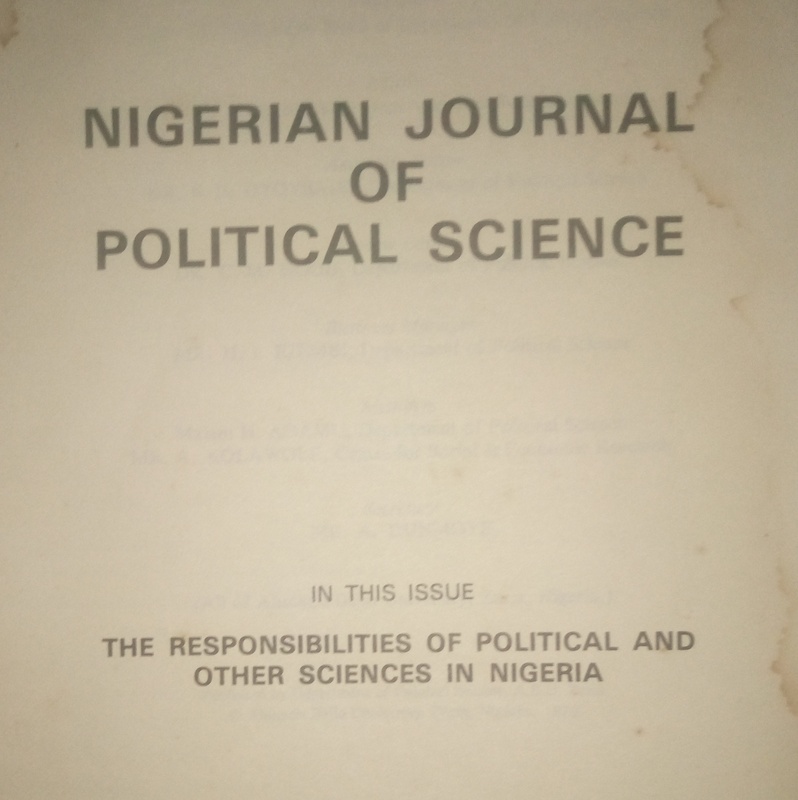 Some of the much older universities, particularly the University of Ibadan, might have immunised themselves against complete collapse in this regard but even then, it is very unlikely that History in UI today can match History in the same UI at the time that department was unpacking received historiography. If that is the situation room from UI which is the flagship of the university system in Nigeria, then it is safer to infer worse scenario in the rest of the universities, private and public. As one observes many students talking enthusiastically about administering questionnaires in answering research questions that cannot be answered in rationalist terms; as students celebrate mixed methods even when they are talking of methods from divergent epistemologies and as one listens to lecturers insisting on dependent and independent variables in project titles even when the puzzle in question has nothing to do with that traditional sense of causality, one knew immediately that knowledge production is in crisis in the social sciences in particular, (except Anthropology). The liberal arts haven’t got that scale of the methodology crisis. The tragedy is in how a country could be waging such a full scale war but without anyone screaming, including the most obvious or most immediate losers – students and their parents, followed by the nation. Not only are the most immediate losers not weeping, majority of those who should defend the mandate of knowledge are not conscious of the war and its social implications. The few that appear conscious adopt a very fierce response to all activist voices who stick out their neck insisting on methodological pluralism. In most cases today on the campuses where you find a Head of Department combining being the complainant, prosecutor and judge against such a voice or voices, it is resistance to that reality. If this hostility were ideological, it would still have been objectionable but understandable. In this case, it is substantially out of ignorance. It is not that such academics are not brilliant. It is simply that Nigeria has not internalised or domesticated the quarrels over methodology yet compared to Europe or Latin America, for examples. Only some departments or some universities have caught on but it is not system wide yet. It is, indeed, far from that as many have no idea of methodology beyond quantitative techniques. Even then, it is rarely accompanied by the relevant philosophy of science background. That is the only plausible reason the World Bank, for instance, could say Nigerian graduates are hopelessly unemployable. Otherwise, empirical knowledge is unstable, nothing to be sure or proud about. Rev. 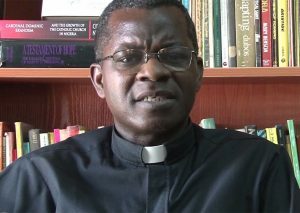 Fr George Ehusani – an uncommon methodological clarity. What they might not have anticipated is that just as the ‘Perestroika Moment’ caught the Political Science establishment in the United States unaware, so might it in Nigeria. Is it not surprising that Reverend Father George Ehusani is surfacing with a package that is absolutely adequate in itself in terms of restoring the universe in the university? Although Catholic priests have a tight historical association with education, it is not the sort of thing that one was expecting from an in-formal academic on a very slippery realm of knowledge. In fact, it was like experiencing a trance listening to him. And for all that to be happening where it happened or where one met it on October 31st, 2018 is to say that Nigeria cannot be written off. It is the stuff one encounters in meetings with those who went to Nigerian universities before the late 1980s but whose rank is depleting on the campuses now because most are 60 years and above. 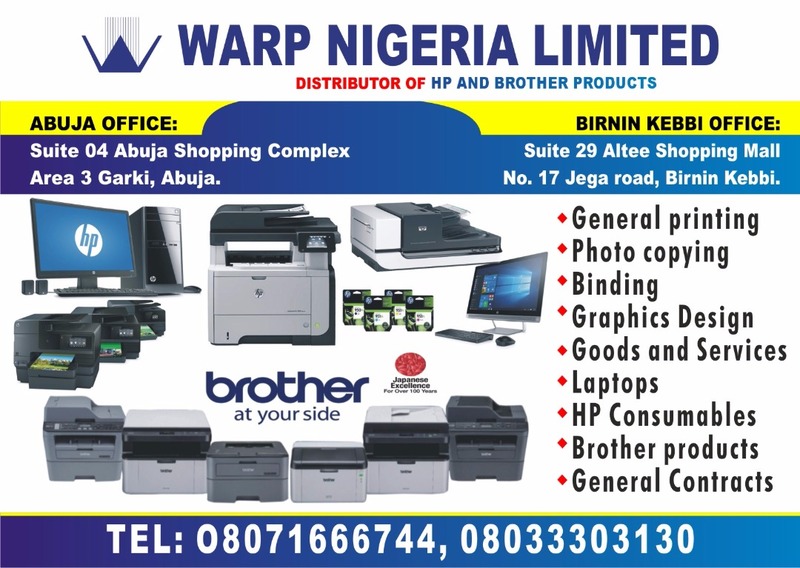 At the moment, the material Ehusani delivered on the crisis of ‘philosophical wagers’ is the property of the event organisers and wherever else he might have delivered it before. What or how the organisers decide to make use of it is what one cannot know yet. Suffice it to say here that the presentation is one of the most systematic arrangement of the positivist/post-positivist controversy generally but with the Nigerian specificity in mind. It provides a frame to which any scholar of methodology can hang, give or take a few specific elements in relation to identity differentials and the minor problem of a ‘jargon of authenticity’ in the second part. In other words, what those who invited Ehusani and what Ehusani successfully showed is that the counter-war against the possibility of knowledge, (because, without a good grasp of methodology, we are not talking of knowledge since methodology goes beyond the scientific model) has been forced on the agenda of those who are resisting or trying to escape it. Just as many of them are in political power, so also are many of them right inside the universities, invoking age, academic status and administrative power to checkmate methodological activism. At the event in question, Ehusani wandered far enough to the point of asking: how would you feel as an academic if one of your students should turn up as a Boko Haram commander or a kidnapper? Those things are happening already and the import of that poser may not lie there. Where it lies is what it brings out regarding the complicity of an academic in all such developments because, each of it is a case study in failure of mastery of methodology, of ‘philosophical wagers’, of meaning making, of critical evaluation. Those who think there is nothing to be agitated or fight on about the poverty of the meta-theoretical edifice of university programmes in the social sciences and liberal arts may only be advertising their inappropriateness as intellectual workers on the campuses. Reverend Father Ehusani might have, in a totally unplanned manner, stolen the thunder from under their feet. Perhaps, it is God working in His own majestic way because, God, more than any other force, knows that Africa is desperately in need of a methodological turn that can perform its transition from where it is to where it ought to be by now. Methodology is emancipation, not just a course unit students are required to pass and get certificates.